This page will be updated as soon as we get more we devices receiving Android 4.4.3, comment below if your device got the OTA and isn't listed here. Nexus 4 : Note: You have to be on Android 4.4.2 (KOT49H) for this OTA to succeed. Nexus 5 : Note: You have to be on Android 4.4.2 (KOT49H) for this OTA to succeed. Nexus 7 : Note: You have to be on Android 4.4.2 (KOT49H) for this OTA to succeed. Nexus 10 : Note: You have to be on Android 4.4.2 (KOT49H) for this OTA to succeed. HTC One M7 GPE : HTC One M7 GPE 4.4.3 (KTU84L) OTA url for manual flashing. 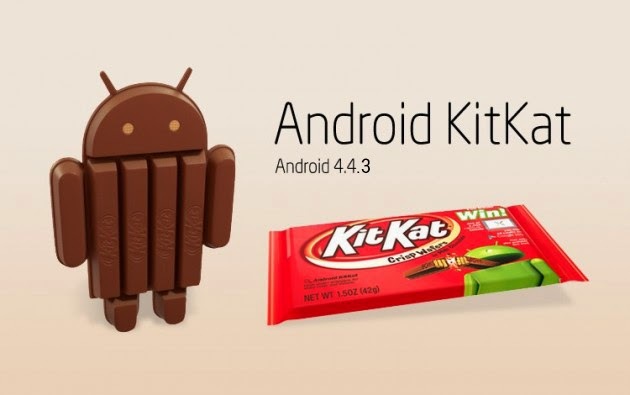 Make sure you're running Android 4.4.2 (KOT49H) before applying it. Samsung Galaxy S4 GPE : Samsung Galaxy S4 GPE 4.4.3 (KTU84L, UCNE3) OTA url. As before, make sure you're on 4.4.2 (KOT49H, UCML4). HTC One M8 GPE : HTC One M8 GPE 4.4.3 (KTU84L) url. Just like above, make sure you're on 4.4.2 (KOT49H).